Hydesville was once again delighted to welcome pupils from the Shrubbery School and Mayfield Preparatory School for our third annual Elocution Festival. This year we invited more children than ever before, with two children from Years 2 to Year 4 attending, and three children from Years 5 and 6 representing each school, having been selected in earlier heats within their own schools. The performances were of an extremely high standard so it proved a difficult task for our guest adjudicator, Mrs Alison-Frances McKnight, to select the winners from each year group, along with an overall festival champion. The Shrubbery School were victorious in four categories, winning the Year 2, 3, 4 and 6 categories. 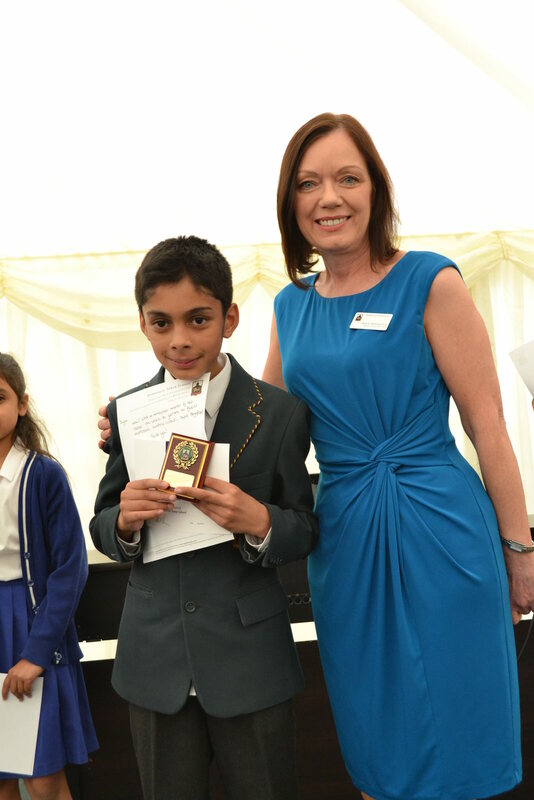 Year 5 was won by our very own Dylan Singh Sandher, with an amazing performance of The Visitor by Ian Serraillier. And the icing on the cake was Dylan also being awarded as the overall festival champion. Mrs Whitehouse is delighted that the silver salver has made a well-deserved return to Hydesville. Well done Dylan!